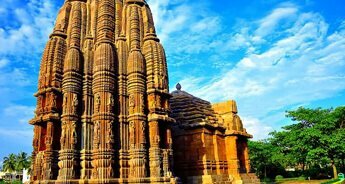 Make the most of your holiday in Odisha, known for ancient temples, lush forest and rich culture by opting our 6N/7D tour package. 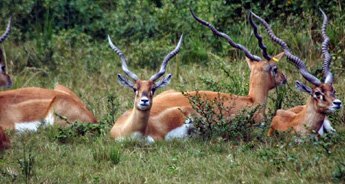 While here, you can dive into the wonderful places our itinerary offers along with exquisite attractions to visit. With the help of our courteous travel team, we will have everything covered for you from offering comfortable transportation to having arranged well-maintained hotel accommodations. 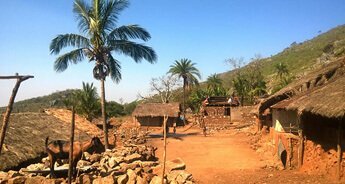 Tour My India also provides tailored itineraries according to your requirements. 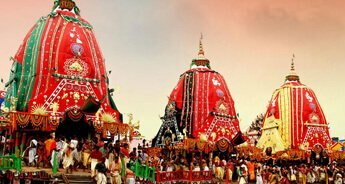 In this tour package of Odisha, the first destination included in our itinerary is Bhubaneswar. Here, you can visit attractions like caves, temples, parks and museum. 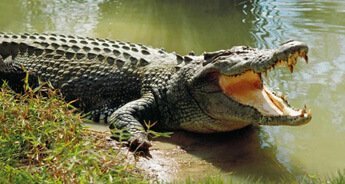 Odisha know for its natural beauty is proven when you visit Barkul for a boating activity in Chilika Lake, its calm large lake offers you a view of the beautiful Kalijai Island. 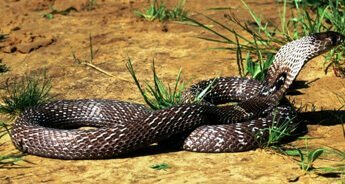 Also, our itinerary will take you to Gopalpur to witness the beautiful sunset; take a dip in Taptapani, a hot sulphur spring water and also visit the Chandragiri Tibetan Settlement in Chandragiri. 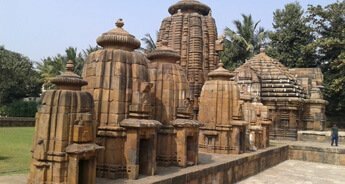 You can experience fascinating tribal culture by visiting Raghurajpur/Nayak Patna painting village as well as explore the temples like Jagannath, Gundicha and Loknath in Puri. 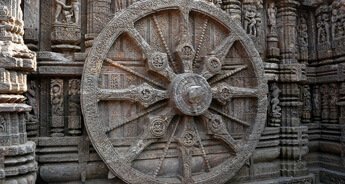 Further, our tour package will guide you to Konark, a place sprinkled with sun and sand. You can visit the famous Sun temple and Ramachandi temple here. 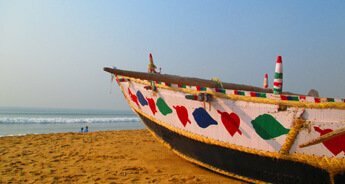 It is always nice to end the day on a beach overlooking the setting sun, thus for that, our itinerary will take you to Chandrabhaga beach in Konark. After you exit from Bhubaneswar Airport/Railway Station, our representative will take you to the selected hotel. You can rest for a while after you check - in and later go for a sightseeing tour and visit Khandagiri and Udayagiri Jain caves followed by an evening stroll at the Haat. Return to the hotel for an overnight stay. 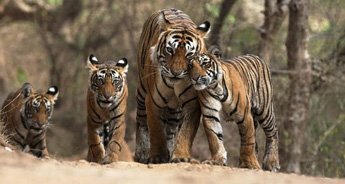 Early morning after breakfast, you can visit the local zoo - Nandankanan Zoological Park (Closed on Monday) and the temples like Parsurameswar, Mukteswar, Lingaraj, Rajarani and Brahmeswar. 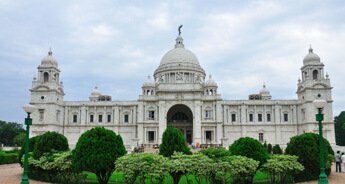 Also, a visit to the Odisha State Museum and the Tribal Museum will offer you a guide tour of the place, its culture and lifestyle. Overnight at the hotel in Bhubaneswar. On the 3rd day, after breakfast, you can check out from the hotel in Bhubaneswar and drive to Gopalpur en route you can visit Chilika Lake in Barkul. Here, you can enjoy boat cruise around the lake and also get a beautiful view of Kalijai Island. After, continue your journey to Gopalpur and check-in at the hotel and rest. Later, visit the beach and view the beautiful sunset and simply enjoy the ambience. This will be followed by dinner and overnight stay at the hotel. After breakfast in Gopalpur, head towards Taptapani where you can take a dip in the Hot Sulphur Spring Water later go visit Chandragiri Tibetan Settlement in Chandragiri. After, you can return to the hotel in Gopalpur for overnight stay. The next day after early breakfast, you can checkout from Gopalpur and check-in at the selected hotel in Puri. 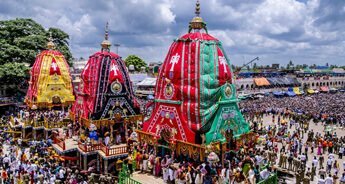 Once here, visit attractions like Raghurajpur/Nayak Patna painting village and Puri Jagannath temple, here at the temple, you can witness the aarati darshan. Later in the evening, head to the golden beach and enjoy the sunset. Overnight at the hotel will follow. 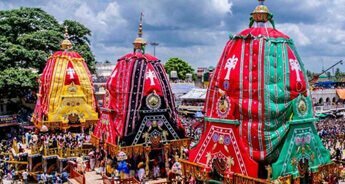 In the morning after early breakfast, visit few temples in Puri like Gundicha temple and Loknath temple. 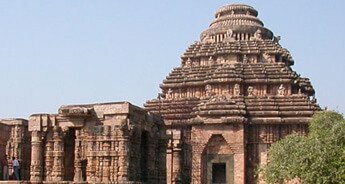 Then drive to Konark and visit the Sun Temple, Ramachandi temple and also spend some time strolling along the Chandrabhaga beach in Konark. Later, return back to Puri and spend the 6th night at the hotel. On the 7th day, checkout of the hotel in Puri after breakfast and the representative will take you to Bhubaneswar, either to the airport or the railway station for your onward journey.